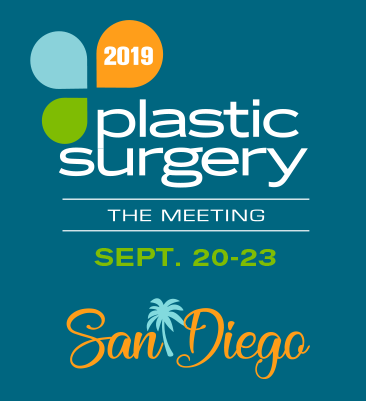 Plastic Surgery The Meeting’s Exhibit Hall will feature approximately 300 exhibiting companies representing more than 60 categories of products and services, all aimed to bring your practice to the next level. Our industry partners play a pivotal part in supporting The Meeting and additional face-to-face time in the Exhibit Hall will continue to foster new and innovative products and services for the specialty. If you are interested in becoming an exhibitor, visit exhibits.plasticsurgerythemeeting.com or contact Aleshia Ward at (847) 228-3372. New in 2019, the Exhibit Hall will be open Friday through Sunday. Join us on Friday morning for the Grand Opening celebration followed by three full days to walk the exhibit hall, see all of the best industry suppliers and network with fellow colleagues. Exhibits are located at the San Diego Convention Center, Level 1, Halls D-G.
Friday, September 20, 9:00 a.m. - 4:30 p.m. Afternoon Reception: 3:00 - 4:30 p.m.
Saturday, September 21, 9:00 a.m. - 4:30 p.m.
Sunday, September 22, 10:00 a.m. - 4:00 p.m. Hundreds of exhibiting companies are surely enough to keep you busy, but there’s even more. These key areas create the most dynamic exhibit experience in the specialty. Plan additional time for your Exhibit Hall experience in San Diego. ASPS and The PSF would like to thank our members for their continued support and interest in patronizing exhibitors at Plastic Surgery The Meeting. Registration fees would be considerably higher without the income generated from exhibitor participation. When companies present quality products and services addressing the practice needs of aesthetic and reconstructive plastic surgery professionals, they add value. We encourage you to set aside dedicated time in Orlando to visit with exhibitors and let them know you value their partnership. Our gratitude goes out to the ASPS Exhibitor Advisory Council (EAC), which provides a vital communication link between the Society and its exhibitors. Admission into the exhibit hall is included with the attendee registration, badge is required. Children under 16 must be accompanied by an adult.